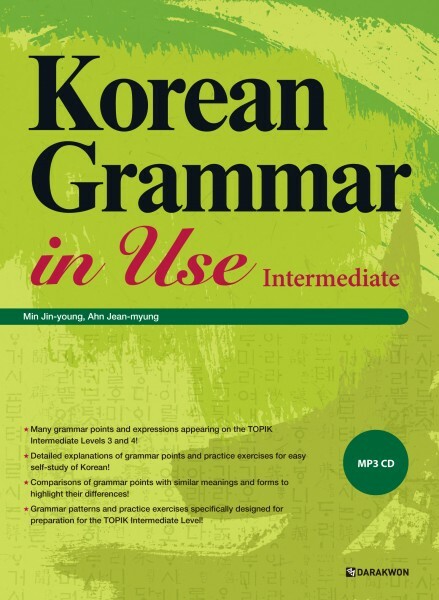 Produktinformationen "Korean Grammar in Use Intermediate (mit MP3 CD)"
This is the second volume in the Korean Grammar in Use series which is best selling book for the learners of Korean, one of the most effective texts for learning Korean grammar. Along with the first volume, Beginning to Early Intermediate, which covered the major grammar points learned in most introductory (Levels 1 and 2) Korean courses, this Intermediate volume covers the major grammar points learned in intermediate (Levels 3 and 4) Korean courses. Together, they form a full-scale, comprehensive Korean reference grammar. Realizing that most other Korean grammar books target beginning learners only, the authors have answered the needs of intermediate level students who want a more systematic way to focus on grammar. In addition, this series serves as a general Korean reference grammar that can be used by Korean language instructors both in Korea and abroad who experience first-hand the difficulty of teaching Korean grammar. Go beyond the basics to 'Intermediate'! -TOPIK Levels 3 & 4 Grammar! Collects the introductory grammar points normally taught in Levels 3 and 4 at most university affiliated and private language institutes. In addition, this volume includes practice pattern exercises to help students prepare for the TOPIK Intermediate level. -Target Grammar Primary and Secondary Meanings At a Glance! Organizes grammar points not as a list that simply must be learned, but as integrated groups of grammar points with similar meanings, usages, and written forms to better illustrate their differences and provide learners with the variousmeanings, restrictions, and other things to keep in mind when learning them. -Dialogues Full of Real-Life Uses of Grammar! Students will learn to make their own dialogues that use the target grammar points in ways most commonly used in real Korean conversation. The dialogues used are not simply sentences constructed for the purpose of illustrating grammar, but rather examples that reflect practical, real-life Korean conversations. -Easy Individualized Use by Both Students and Teachers! Not only can students more easily master a variety of difficult Korean grammar points, instructors can also benefit by having an accessible, easy-to-use reference for explaining such difficult aspects of Korean grammar in class. Weiterführende Links zu "Korean Grammar in Use Intermediate (mit MP3 CD)"
Unser Kommentar zu "Korean Grammar in Use Intermediate (mit MP3 CD)"
Kundenbewertungen für "Korean Grammar in Use Intermediate (mit MP3 CD)"